Ski Holidays to Passo Tonale in Italy 2017 & 2018. Passo Tonale is a haven for beginners and experts alike, although its family friendly atmosphere and wealth of gentle slopes means that it has become the destination of choice for thousands of fun-seeking people over the years. The snow falls thick and consistently here, but long hours of daylight mean that you can squeeze the maximum amount out of your stay at Passo Tonale. It is also a very accessible destination, with recently added lifts giving access not just to the slopes, but across to the Ponte di Legno resort. This may be an ideal family destination, but you can definitely have some fun amongst other adults thanks to the bustling night time activities. Local drinking venues such as Bar Heaven operate apres ski deals including two for one drinks offers and there are two nightclubs called Miramonti and Antares which means you can take off your ski boots and stick on your dancing shoes to bust a move when the lights go down. If this all sounds a little hectic and inappropriate then there is El Bait which offers a more sedate drinking experience, or La Botte which is the destination chosen by wine connoisseurs from many nations. Thanks to the lifts that connect Passo Tonale with Ponti di Legno you can nip across the mountains and visit the swimming pool once you have had your fill of fun on the slopes. There is also a fairly unique ice rink which is formed and maintained from natural sources. You can work those leg muscles with cross-country skiing and there are also Skidoos to rent if you want to tool about on something that is powered by a motor. Tobogganing is possible at all ski resorts, but in Passo Tonale it is actually a dedicated feature, with slopes and a lift set aside for this fun pastime that is ideal for the little ones as well as grown ups. If you are in the mood for some pampering you can take advantage of the beauty centre and if you want to retain your physique and keep off the pounds then the fitness room will have all of the equipment to make this possible. Retail therapy can be had thanks to the broad range of local shops and superstores and more boutique products can be found in fashionable little shops that are dotted around the area. Italian food is world renowned for its flavour and appeal, which is why it is unsurprising to see so many successful restaurants in and around the Passo Tonale region. Local pizzeria La Torretta has good value meals for all and you can get specially crafted burgers from Magic Bar. Main courses can start from as little as five Euros and if you are looking for something more substantial you can head to La Baraca for a three course spread that can set you back as little as ten Euros with set menu options. If you want to get a really authentic experience of local cuisine then the Mountain Meal Night might be the option to choose. It is more expensive than eating a standard meal, but you get to indulge in a wide variety of dishes which originate in Italy. This is a great opportunity for a bit of a gastronomic adventure that is very different from the kind of adventure you will experience during a typical day of skiing. Passo Tonale gets five stars for beginners and four for intermediate skiers, which means there is a good range of slopes to tackle for those who do not consider themselves to be experts. The more difficult black slopes have afforded it three stars for experts and if you prefer to enjoy the fresh, clean snow standing on a snowboard then the local park, which has specially constructed jumps and ramps, is an option. This park is not limited to snowboarders, so intrepid skiers with good balance can try their luck on its beams and bars. The slopes can be taken from a different angle if you invest in the Skidoo Adventure, which puts one or two adults on the back of a nippy gorge scrambling machine and helps to unlock a great deal of the surrounding area without leaving you gasping for breath after a climb or waiting in line for the lifts. 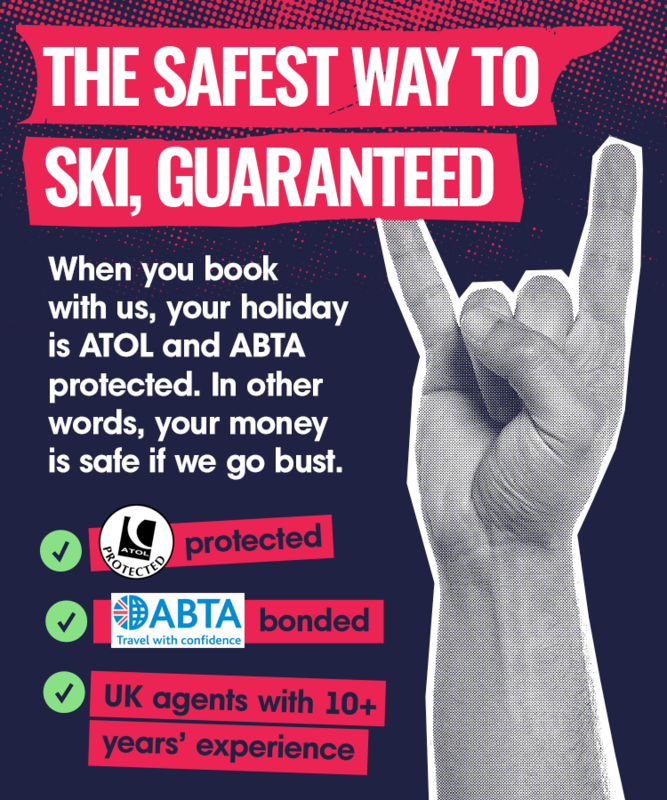 Passo Tonale is not just a must visit destination for many skiing fanatics, but it is also home to some money saving deals on rental and accommodation which keep costs down even in the height of the season.